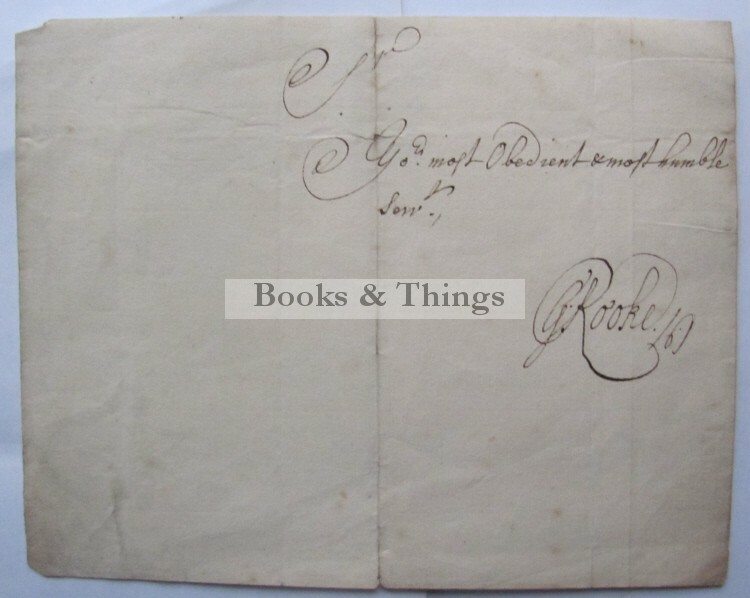 Sir George Rooke: Autograph, possibly 1661. ‘Sir your most obedient and most humble servant’. 140 x 180mm; fold. Admiral of the Fleet; captured Gibraltar in 1704. Category: Autographs. Tag: Sir George Rooke autograph.